Silver Linings – Day 26. Exhausting day. Feeling rundown, tired, unfocused, and overwhelmed by life, work and myself. So I managed some essential chores when I got home from work. Helped with dinner. Helped with bunny attention. Then got into bed and read this novel for a while. A great way to relax after such a day. Today I am grateful for easy, satisfying dinners. For pets that behave themselves. For a warm house and bed during this chilling winter weather. For people that show they care by helping me through a difficult day. For enjoyable novels that let me laugh and make me think at the same time. How do you like to relax in the evening after an especially tiring day? Silver Linings – Day 25. 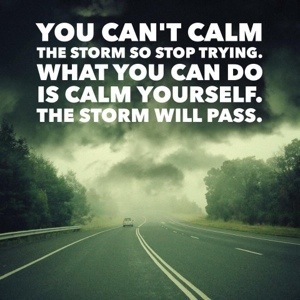 This afternoon I attended a booster class for the mindfulness course that I completed earlier this year. A great chance to connect with three other of the course attendees I knew and about twenty others who had previously completed the course in recent years. It was a great reminder of the mindfulness practices that I have struggled to keep a regular habit. But even better was gaining a clearer understanding of setting my intention for what I want to achieve and letting that guide me to the how. This morning started with a small boost of mindfulness, when a friend messaged me their intention for the day. This gave me the motivation to overcome my exhaustion and set my own goal to get the day started. So today I am grateful for mindfulness teachers and their commitment to helping others, and for friends who’s smallest communications with me can make a world of difference. 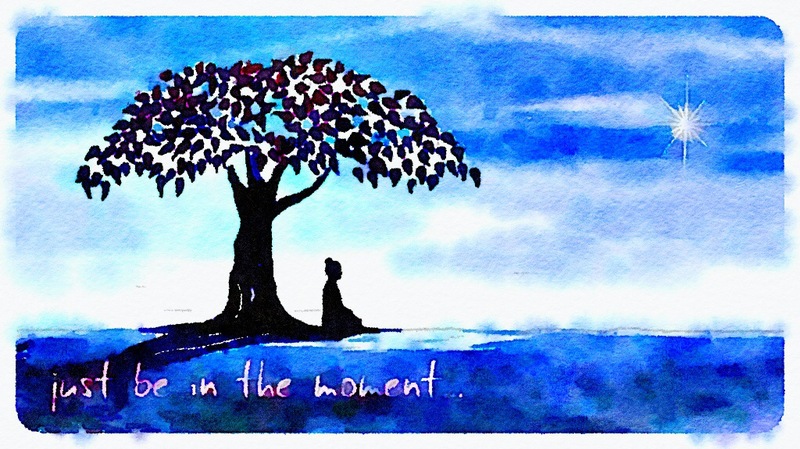 How do you manage with being wholly in the present moment? Silver Linings – Day 24. An afternoon of being crafty. Chainmail creations in linked anodised aluminium rings. Learning a new pattern today in the progress of making an owlet. The photo shows a display on the table around which 10 of us worked. Bracelets, necklaces, earrings and pendants all handmade in sterling silver and other metals. Relaxing and chatting using one side of the brain, while the other side focuses on the method and pattern of linking the rings. Snack food, wine and tea. A beautiful silver lining to an otherwise tired weekend. What creativity do you engage in besides writing? Silver Linings – Day 23. After an exhausting and quiet week on my own in the office, it’s so nice to get out for a change, see some friends, have a chat and a drink. Tonight was a rare situation in that sense. And sometimes, just the little things that someone says, clicks in your brain and gives you a spark of hope, or a reason to relax. Grateful for good friends, relaxing Friday meet ups, and easy takeaway Indian dinner. When did someone last say something simple to you that meant a lot? Silver Linings – Day 22. Another foggy and unmotivated day. But I got up, dressed up, and showed up to the office, and achieved some progress. Tonight was our monthly social gathering at the pub for dinner/drinks and games. It’s our city’s fan club for the fantasy author Terry Pratchett (who unfortunately died earlier this year). Good catching up with familiar people in relaxing and enjoyable company. I forgot to take an actual photograph of the evening, but the image above is of the board game that four of us played at our end of the table, and the lovely local wine that I drank a glass of. I also got to message chat with a friend and arrange to meet up with them Friday afternoon and message chat with another overseas friend tonight. The people that support me, that pick me up when I’m down, that call me out when I’m being stupid, that accept me for who I am. Today I am grateful for fun tabletop games, quality wine, and friends near and far. What game do you enjoy playing (or have memories of)? Silver Linings – Day 21. Today I sent an email to a social/community group that I am a committee member of, to let them know that I am feeling overwhelmed by life at the moment and am unsure of my ability to participate much. I was in bed all day today. Sound asleep mostly. Except for when I had to get up and eat something to take my medication with, because I realised my reminder alarm had been going off for about half an hour. The good thing is that I consider all of these members my friends, and I knew that they would be supportive. I received back supportive responses about caring for myself as a priority. A close friend sent a message congratulating me for speaking up and saying how good the email I sent out was. And during the day I found a beautiful mention on a friend’s blog regarding a poem I dedicated to her yesterday. And also received words of wisdom from her tonight. When I feel like I’m crumbling apart, it’s good to know that my friends are behind me supporting however they can. Silver Linings – Day 20. I feel like I failed to function today. I achieved little office work despite being there for 5 hours. But as a friend reminded me tonight, writing two poems is an achievement. I feel that I haven’t written poetry like today in a while. But looking back through my notes, there has been probably no more than a week of quiet at any point recently. The last six days has seen a lot rolling out. I just haven’t posted much of it yet. Perspective. Sometimes another view really helps. The overwhelms hit me today. In the office before noon, and tonight while getting dinner ready. Hey, this is meant to be about silver linings! Well, this is about everything. About coping. About not coping. About support and encouragement and seeing what to be thankful for. After dinner I curled up into my ball chair, put my headphones on and listened to music. I stopped and just listened to music. I cared for nothing more than caring for myself. I closed my eyes, rug over my legs and took the time to really listen to my music. Appreciating it’s depth and how it moves me. I spent time enjoying myself, something I realise just now that’s been missing in my life. Today I am grateful for my music. Some nights I would not get to sleep without my music. Some days I would struggle through if not for my music. My music brings back memories. My music creates new bright memories. My music is as integral to my life as eating. I Found You Covered in Ash. You thoughts are in a strange place.